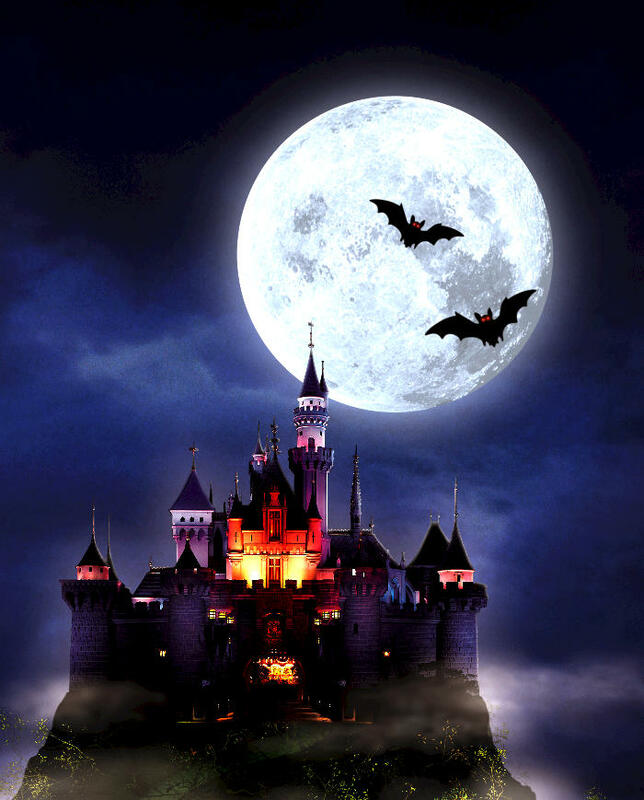 Mickey's Halloween Party: September 19, 21, 24, 26, 28; October 2, 5 (sold out), 9, 12 (sold out), 16, 19, 23, 26, 29, 31 - 6-11pm Mondays-Thursdays; 7pm-midnight on Fridays. Regular admission prices for entry to the parks. 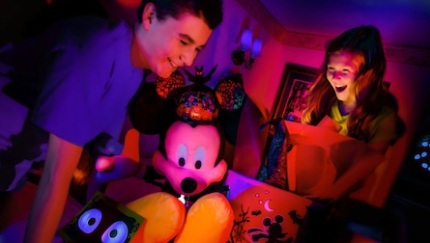 $105 for Mickey's Halloween Party. 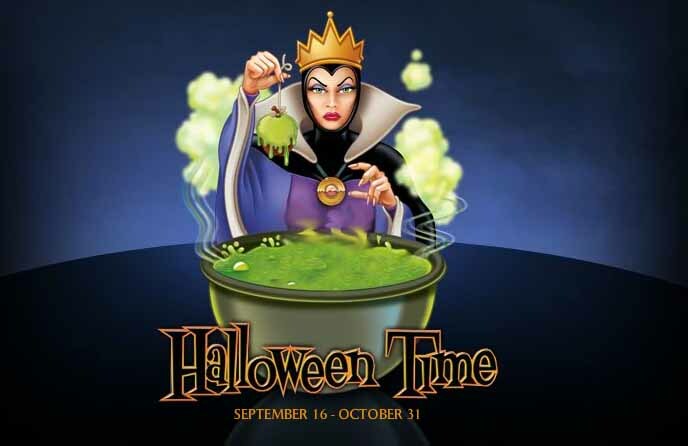 It has become an annual tradition during the October season, with the Enchanted Kingdom transforming itself into a haunted theme park (family-friendly, of course), with the traditional Disney characters attired in costumes to show the spirit of the season. 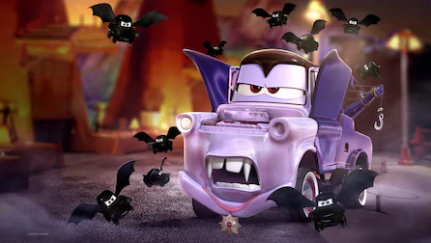 All the usual Disneyland Resort rides and attractions are open, but with an extra special Halloween spin. 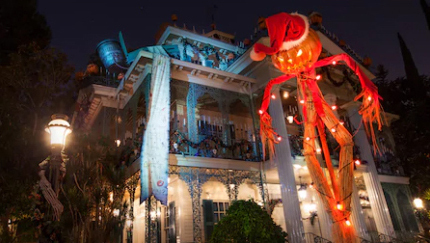 Your favorite Disney characters are on display in seasonal costumes, and surprises lurk around every corner. The usual rides and attractions are open, some of them modified for the season. 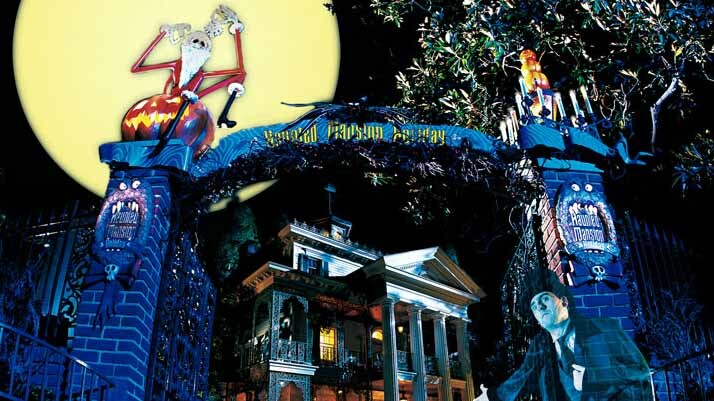 The Haunted Mansion Holiday, brought to you by Jack Skellington, from Tim Burton's The Nightmare Before Christmas, and the residents of Halloween Town. 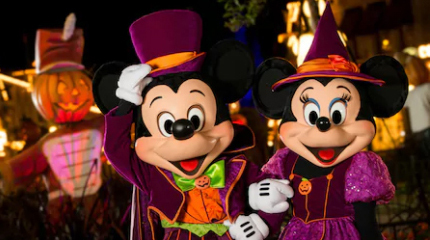 On select nights in October, Disneyland Resort offers this private costume party at the Disneyland Park, where little ghosts and goblins can join their favorite Disney characters for Halloween-style fun. 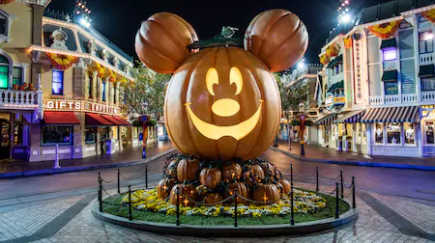 Besides access to all the Halloween-themed events (such as Space Mountain Ghost Galaxy and Haunted Mansion Holiday),parents and children get early entrance to the park, where they can enjoy almost all usual rides, go trick-or-treating, collect candy, enjoy live music, and play games. 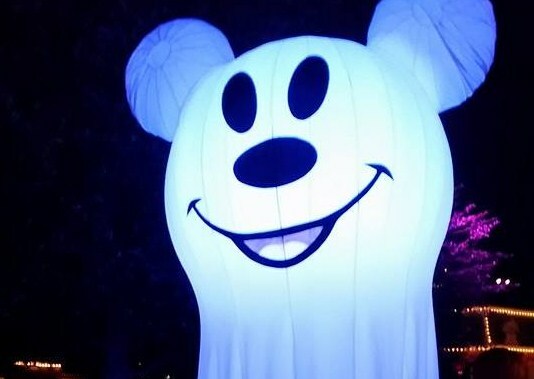 Guests, including adults, are encouraged to wear costumes, but they must conform to Disney's costume code: child friendly, non-violent, eyes visible, no sharpt objects or props that could be mistaken for real weapons. The Trick-or-Treat Party event requires a separate ticket. No charge for children under 2. 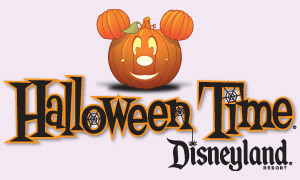 You may get more information and purchase online at the Mickey's Trick-or-Treat Party page, or call 714-781-4400. Mickey’s Hide and Go Treat Trails: Piratepalooza Treats and Mickey’s Toontown Treat Pre-party (Toontown open for a limited time during Mickey’s Halloween Party). 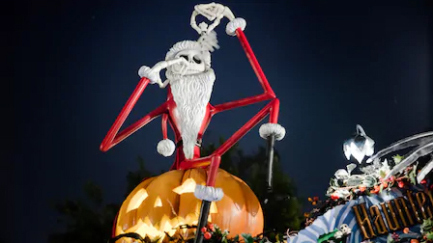 Disneyland offers special Halloween merchandise for sale, including collectible pins, costumes based on your favorite Disney and Pixar characters, pumpkin-head mouse ears, candy baskets, and more. Seasonal food is available in the form of Gingerbrad Pumpkin Cooies, Cream Topped Pumpkin Muffins, and Pumpkin King Mousse Tarts. This is basically a Halloween opportunity for parents with children who don’t want to be too frightened. 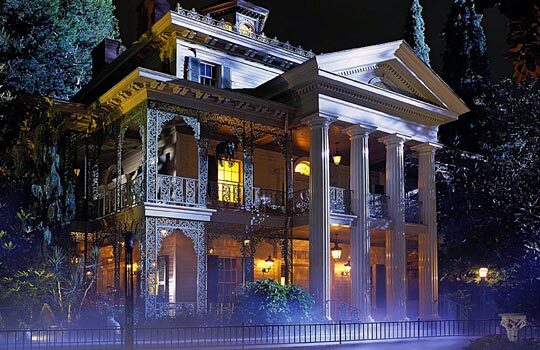 Although fun, Disneyland's Haunted Mansion is not really scary; the Tower of Terror may be terrifying, but it is basically a thrill ride, not a traditional Halloween attraction. 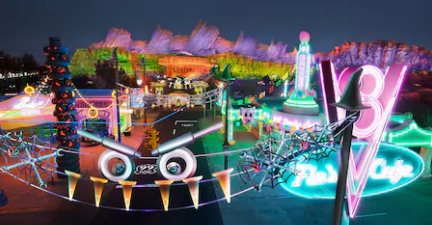 So it’s not exactly what most enthusiasts expect from a Halloween attraction. Still, you can console yourself with a trip on the Pirates of the Caribbean.